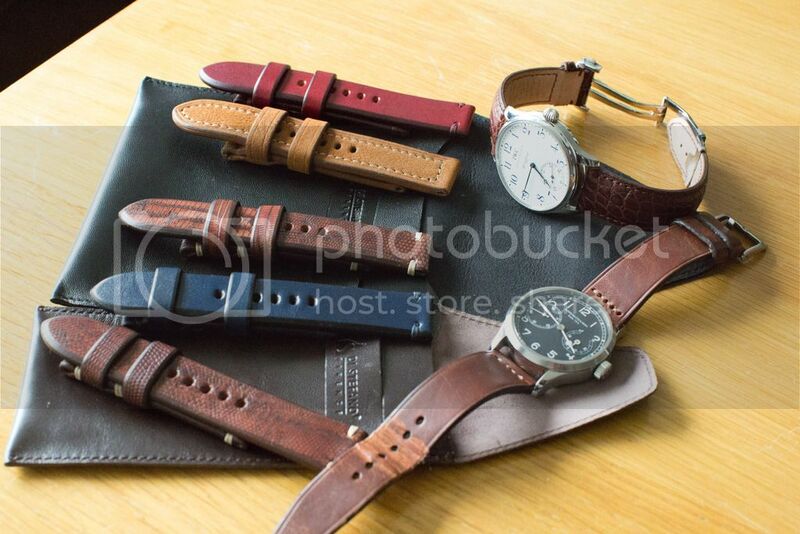 Have you ever bought a watch to go with a specific strap? Thread: Have you ever bought a watch to go with a specific strap? Rather than the more usual vice-versa. No. I’m lucky enough to have some quite lovely straps but I always let the dog wag the tail, as it were. No. But maybe about to. . . Very, very pleased with them as they are a significant step above any straps that I have bought previously. However sorry to say that none quite click with their intended watch recipients in the flesh. Hence I feel an imminent reverse quest arising. You could consider another alternative that would not only save you a shedload of money but actually generate some for you, you could offer the new straps on SC! 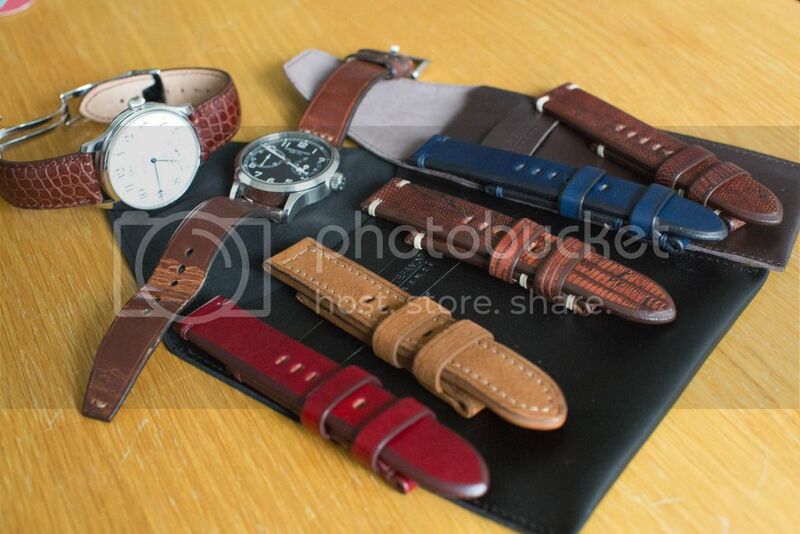 No, but I've nearly bought watches because I liked their straps on a couple of occasions! That's another level of watch madness ! You can't mention that and not provide pics of the strap! Whilst I appreciate your logical advice. I'm afraid that, when it comes to watches at least, all sense is abandoned for me. I bought a correct NSA bracelet ready to fit to a Heuer Silverstone (Bordeaux) but they shot up in value before I had a chance to buy one! Naturally I live in hope. Nice straps! I liked the lizard int he middle.